Can I Make In India? Make In India is a revolution, started with the vision of transforming India into a global design and manufacturing hub. The term was coined on 25 September 2014 by Narendra Modi, the incumbent Prime Minister of India and since its inception; it has almost become a household phrase. This brings me to a question: What pops up in your mind, every time you come across this expression? Is it manufacturing, infrastructure, investment and government? Or is it innovation, job opportunities and growth in economy? If your thoughts are drawn to any of these, then that’s absolutely fine, because the success of this movement will be a combination of each of these. As an individual, while you have been following the campaign, has it ever occurred to you: Can I Make in India or is it only possible for companies to do it? With this drive, the government is making its effort to push the contribution of the manufacturing sector to the national GDP, from 15% to 25% by 2020. For a while, let‘s keep the government’s effort aside and talk a little from the perspective of an individual who seeks to understand about her contribution to the revolution which aims to convert India into the next manufacturing powerhouse? Before we discuss this, it is necessary that we take a step back and read the general perception about manufacturing. The imagery might sometimes vary from gears to huge assembly lines, from gigantic factories to labors, from smoke to waste or from voluminous production to massive storage but revolves around either of it. This may not be far from truth; however, this is only one side of it and can be called traditional manufacturing. I will not be wrong if I name the other side of it as smart manufacturing. It is Additive manufacturing/3D Printing that I am talking about. And via this, we as an individual can Make In India. How does this work? We use 3D printing technology for manufacturing locally. The deployment of this technology gives us the benefit of producing final product just from a 3D design file of your product. When I say product, it could be a Napkin holder, an egg holder or anything that you can imagine of. Yes these are real products which are Made to Order only for you with your total say in the design. This means that smart manufacturing reduces a lot of intermediary steps, doesn’t require you to order in huge volumes, the concept or the idea of the product can be totally yours in case you wish to, else you will always have an assistance from our side. When you are involved at every step of production, witness your product idea turn into a 3D design and then come alive as a product that you can use in your daily lives, you can proudly say that you are a Maker and you “Made in India”. You moved from Selection to Creation: which means instead of directly buying something by selecting among a few available options that you had, you created the unique product yourself. You have a product idea, we get connected, we understand the need, create the 3D design, incorporates changes suggested by you, we get it approved by you and manufactures even a single piece of the product. With traditional manufacturing an individual cannot think of this. You are a designer yourself, have the 3D design of your product, we manufacture it. Suppose you are planning to decorate your new house and now that you have the power of co-creation or Making In India, you will want something different and unique, something designed by you, ideated by you. 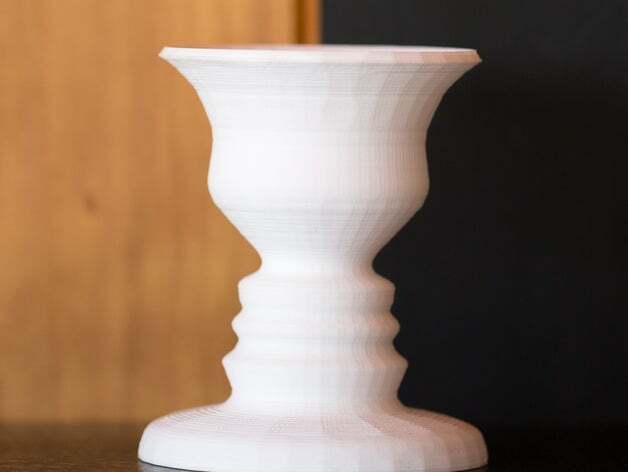 How about something similar to this creative vase? You can start right away. There is so much of unmet demand of products under different categories in India that are met by imports from countries like China. You will be astonished to know that at present, India has 200K+ 3D designers/3D Modelers. This reflects upon the designing capability of India. Let us make an effort to explore this new technology and become self sufficient. The 3D Printing technology has been said to revolutionary. However, it will become a disruption only when all of us will understand its power and start using it. When Is The Right Time To Start Talking About Your Business Idea?